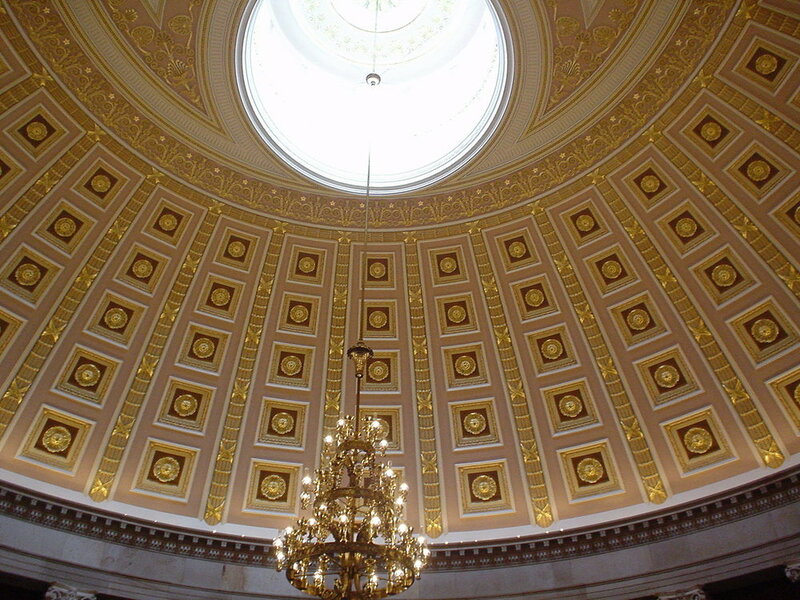 The Brumidi Corridors are part of the new wing of the U.S. Capitol constructed by Thomas U. Walter between 1852 and 1859. Constantino Brumidi began making designs for the corridors in 1856. The decorative painting of the walls and ceilings of the main corridors was carried out primarily between 1857 and 1859. Brumidi added details in the 1860s and frescoed the lunettes over the doorways in the 1870s. Although Walter had envisioned plain-colored walls hung with oil paintings, Captain Montgomery C. Meigs, Superintendent of Construction, directed Brumidi to carry out an elaborate decorative scheme based on Raphael's Loggia in the Vatican. Brumidi's classical training in Rome gave him a thorough understanding of ancient Roman, Renaissance and Baroque styles, symbols and techniques of wall painting. Brumidi created the overall design for the corridors and directed its execution by artists of many nationalities. His immediate assistants included Joseph Rakemann, Albert Peruchi and Ludwig Odense. ICR conducted a comprehensive pigment and media investigation of the corridors of the House of Representatives to identify a 1902 Rakemann finishes scheme using advanced instrumental analysis. A comprehensive paint analysis was conducted at the House of Representatives in select corridors. A specific finish campaign, not the original, was extensively analyzed for pigments and media and matched for colors. 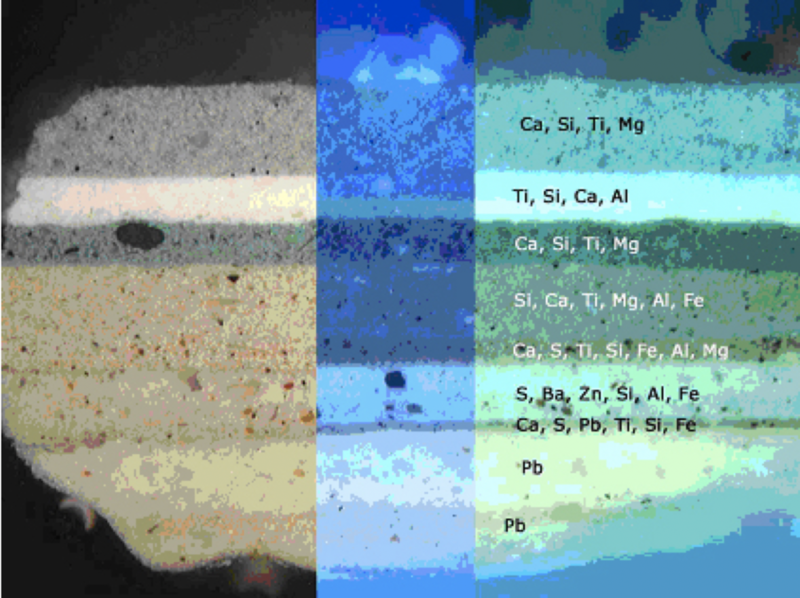 The composition of the stratigraphic layers within the samples had to be determined in order to match them with the 1902 pigment and media composition of Rakemann’s finishes used in other sections of the Capitol. Once the colors were matched, hand mixing pigments and media was conducted with Capitol Staff for mock ups.